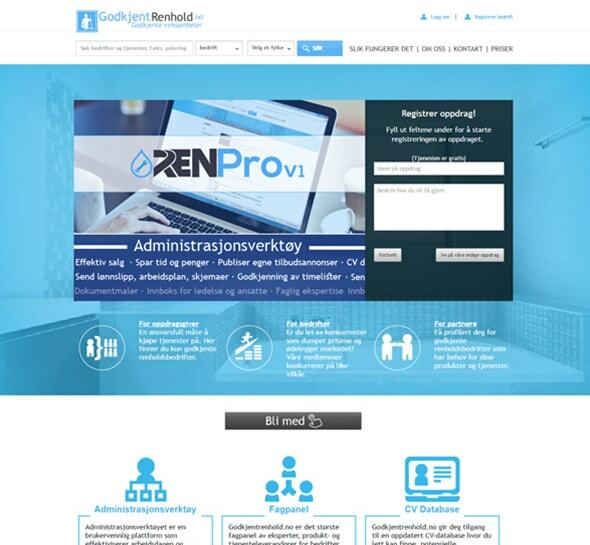 Godkjent is a portal for all approved cleaning companies in Norway. Provide placement service for the client and approved establishments. Offer an easier life for cleaning businesses, their employees, suppliers and potential customers. Refine the user experience process.